The best DUI Attorney Encino, California that offers personalized service for all Criminal Defense. At the Pasher Law firm, you are not another case number. We handle every case as if it’s our only case. Driving under the influence charges and need to be taken very seriously as there are hash repercussions for missing deadlines and court appearances with not just the court system but with the Department of Motor Vehicles (DMV). 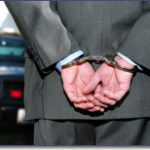 Being arrested for a DUI, or Drug Crime, or any other Criminal Defense charges can be devastating. A criminal charge can change your life, affecting not only your family but even your job and your future. In many cases, you can also lose your liberty. For this reason, it is essential that you carefully select the criminal defense lawyer that will help you obtain the best results. There are many factors that involve the resolution of a pending criminal charge. I will take all the necessary time to get to know you and discover everything that is necessary to help resolve your matter effectively. I will always be available to you and any questions you may have. I understand that going through the criminal courts can be a scary process. I will stand by your side and defend you every single time. The outcome of your case will affect the rest of your life. Picking the right attorney for you is essential. I am ready for the fight! The Pascher Law Firm has a rich history of providing quality legal representation with a personalized touch. We take the time to explain the facts regarding your case. 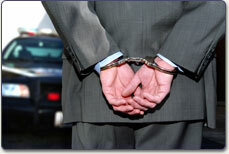 In addition, we will explain the best strategy to address your criminal charges. The law is complicated and the procedures and processes needed to navigate the court system are essential.